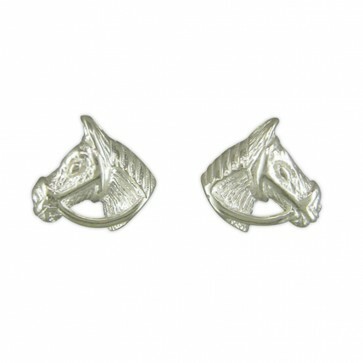 Sterling silver horse head stud earrings. Earring Height 6mm x Width 6mm. Approximate earring weight 1 grams.